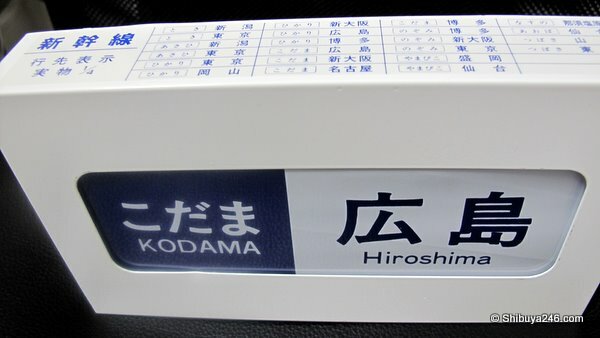 While out the other day at Ikspiari, Maihama, next to DisneyLand, I found a store that specialized in model railway parts, bus models and generally all types of accessories connected with JR Railways. Amongst the items I particularly liked was this old fashioned manual sign changer to show the different destinations for the Shinkansen. 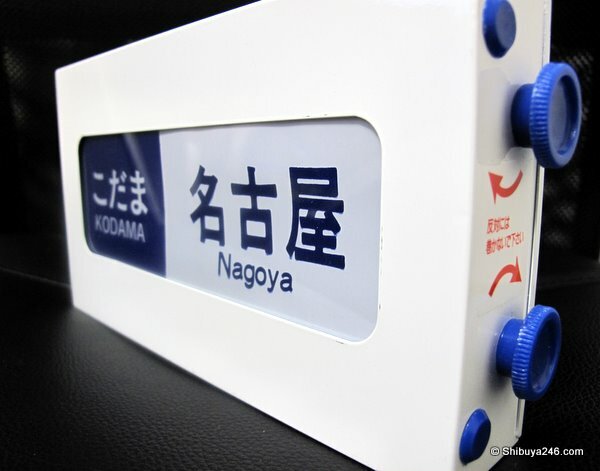 There are many images that define this unique train series as it has advanced through the years, having originally started operation in time for the 1964 Tokyo Olympic games. This sign changer is a strong image I have from my first trip on a Hikari Shinkansen many years ago. I also picked up a model of the 0 series Shinkansen (０系) which went into service in 1964. In December, 2008 the final train in this series was decommissioned in favor of newer models. 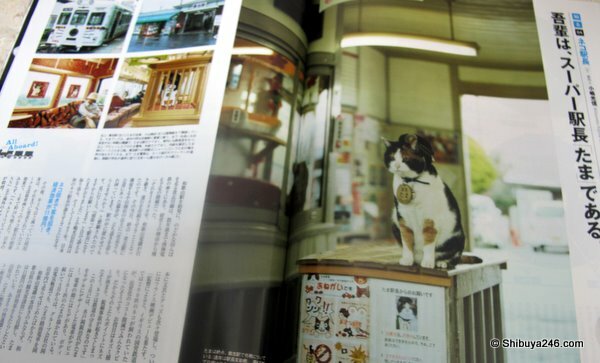 The magazine article spans about 50 pages and has some great photos of the trains, stations, museums for trains, train restaurants, old books, tickets, eki-bento, scale models, music scores for the station melodies and much much more including an official station cat at Tama station in Wakayama. This magazine special covers so much and has so many great pictures, even if you cannot read the Japanese you will really enjoy this. This train looks fantastic, almost European in style. 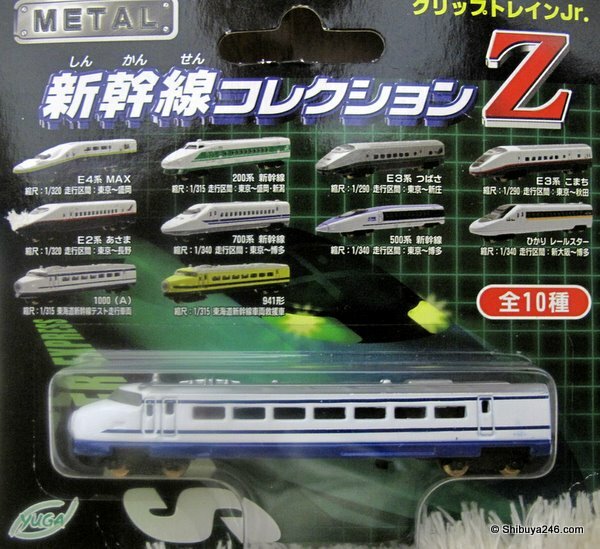 I am certainly going to put this on my list of trains to try in Japan. Did you know the Yamanote line is 34.5km in distance. How many minutes does it take to cover that distance? 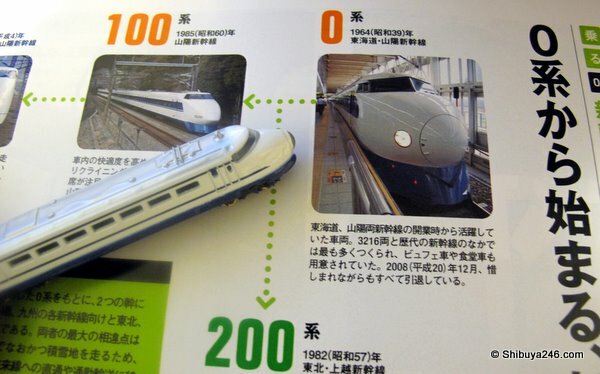 Another page from the magazine looks at the history of the Shinkansen series and explains the difference in all of the models. The magazine would make a great collectors item, and can be found both at convenience stores and book stores. The cost is just YEN 600, which for 178 pages of high quality is real bargain. If you want a copy and cant find one, let me know and I will try and organize. 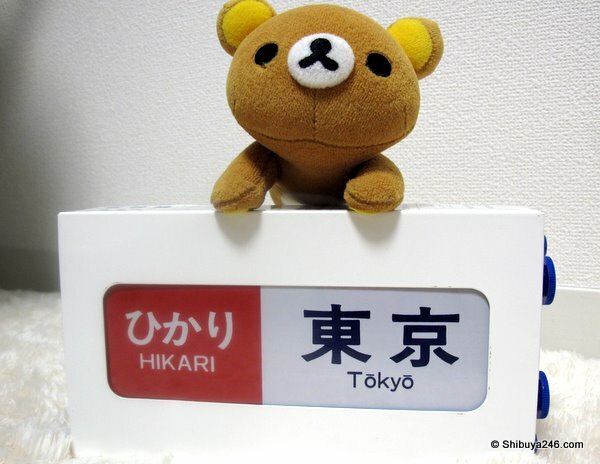 If you dont want to get lost, like Rilakkuma, when traveling around Japan, have a quick read of The Nihon Sun’s article on Getting Around in Japan for some handy tips from @ShaneSakata. 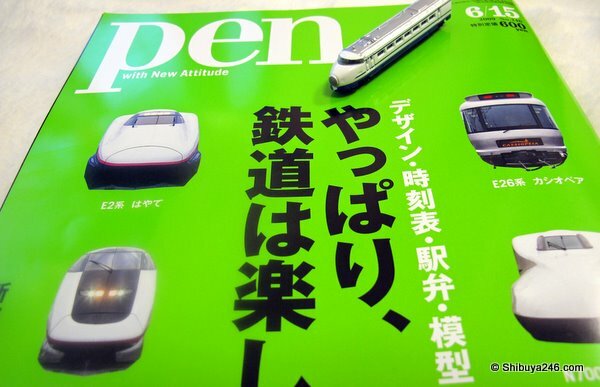 One of the symbols of Japans sudden growth and its “economic miracle” of rebuilding after the war, was the Bullet Train. The Tokyo Olympics in 1964 was a chance for Japan to showcase its developments in many fields. 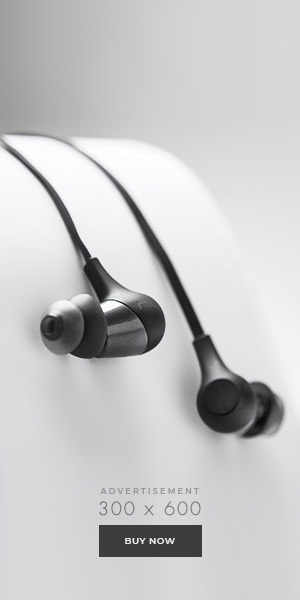 If Tokyo is successful in its bid for the 2016 Olympics, I wonder what technological marvels will await us and will become part of the brand that is Japan. I am jealous of the train set you bought. I have always wanted to set up a little railroad in my place but have not gotten around to it. Model railroads can be real fun. The Japanese styled ones are miniature in size and have really cute figures. I will go to visit some of the railroad museums soon and will take photos. Thanks for dropping by. I thought i had read before that each train station had it's own musical theme and i remember one of them had the theme song from "Astro Boy". One of the first animes I saw as a youngster on tv in Green Bay,Wi, many moons ago. Late sixties I believe. When I heard it I had it in my head all day long. Good to see Rilakkuma along for the ride. Did he have fun? hope so. That looks like a great magazine to look at. Won't be able to buy it . What a great bunch of loot you picked up…jealous lol. You should have had Rilakkuma with you when you met up with Danny, he would have had a great time.Bring him with you when you go to the next CGM. I'm not much of a fan when it comes to trains, but the railway system in Japan never cease to amuse me. Great Blog. I believe we can both benefit if you post at FoodBizDaily.com also. Mmm, it'd be great if you could post a link to the shop's website or to its location on Google Maps. I've tried to find it, but haven't been successful. Thank you! The company name was all I needed and Google Maps was able to provide me with the location of both stores. I've saved them for my next trip 🙂 I'm really looking forward to visiting the shop. Damn! Came home to Canada too soon! 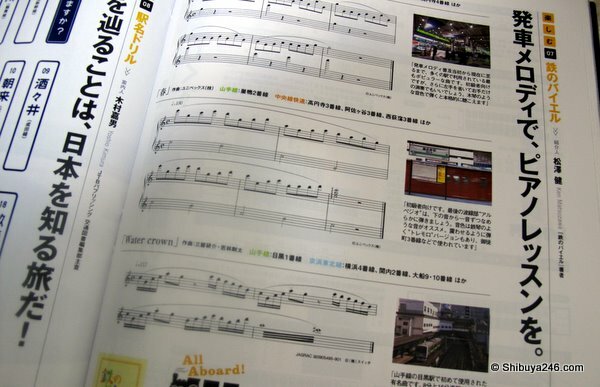 I'll have to snag myself an N700 engine and the Ebisu station theme tune next time. Hmmm, I'll have to see if my local import shop can get that magazine. It looks really cool. sounds good. the store in the Ginza is the HQ so you will find a lot more there I imagine. The store at Ikspiari is a little small, but very interesting. I spent about 2 hours in there. Some of this stuff looks pretty cool. I would like to grab a few of the items at some point.